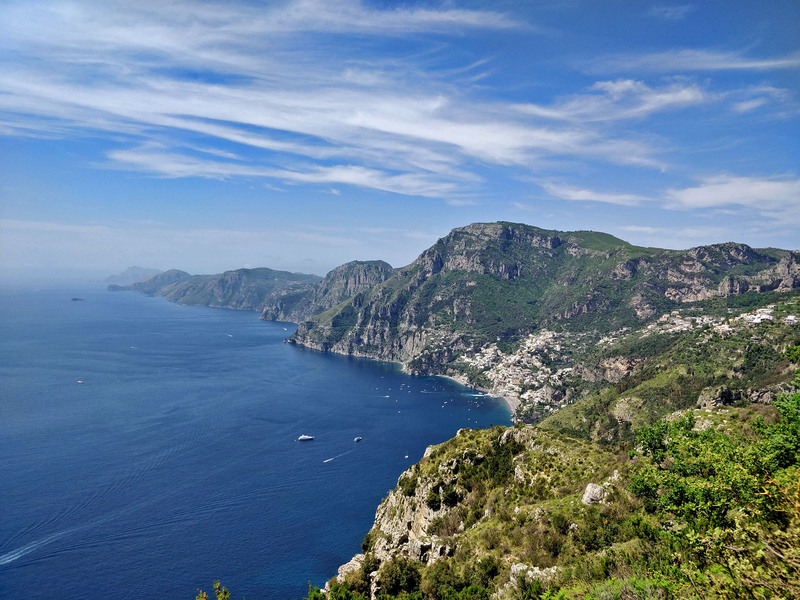 Are you ready to hike the famous Path of the Gods? 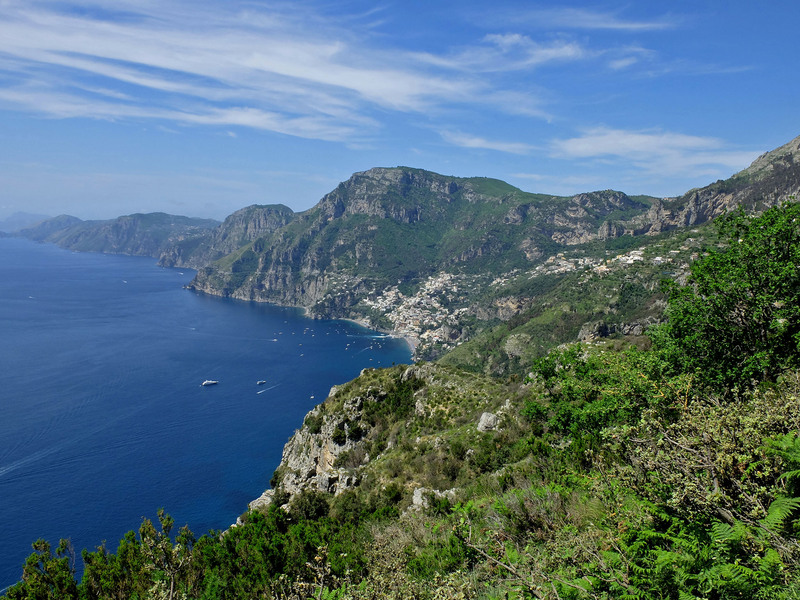 Sentiero degli Dei, or Path of the Gods, is a well-travelled path between the hillside towns of the Amalfi Coast in Italy. 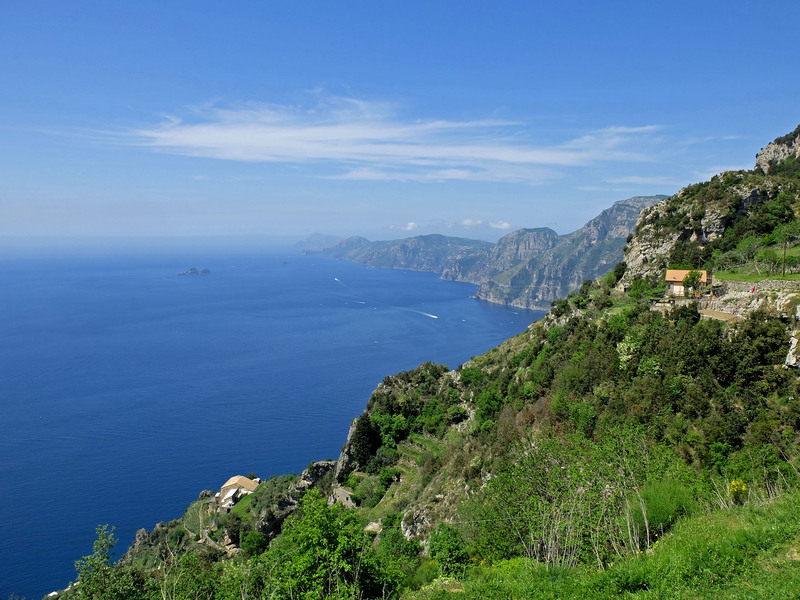 Along this coastal walk you can peek in to other little towns, monasteries, and empty houses built in to the side of the cliffs. 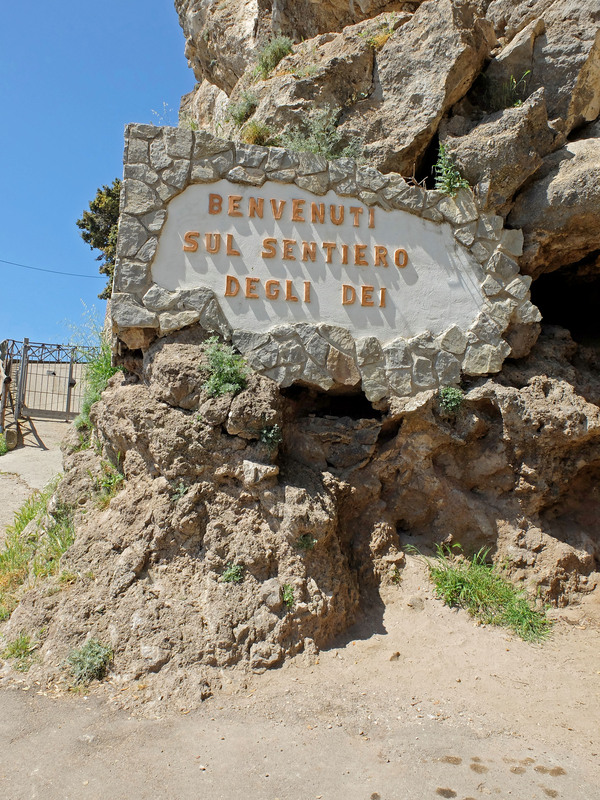 We started our journey in Bomerano, which took 40 minutes to reach by scooter from where we were staying in Maiori. 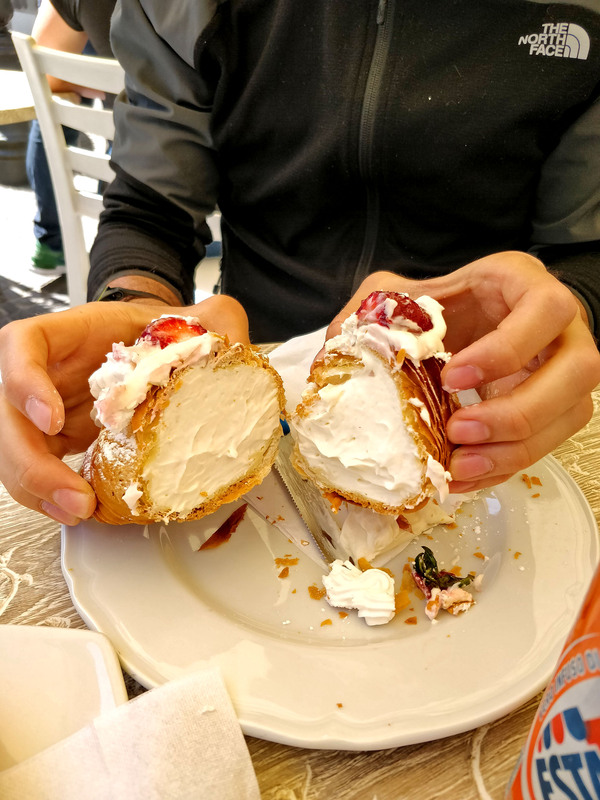 We had been planning on grabbing breakfast there before the hike, and we had the most decadent croissant I’ve ever seen. Definite sugar rush! 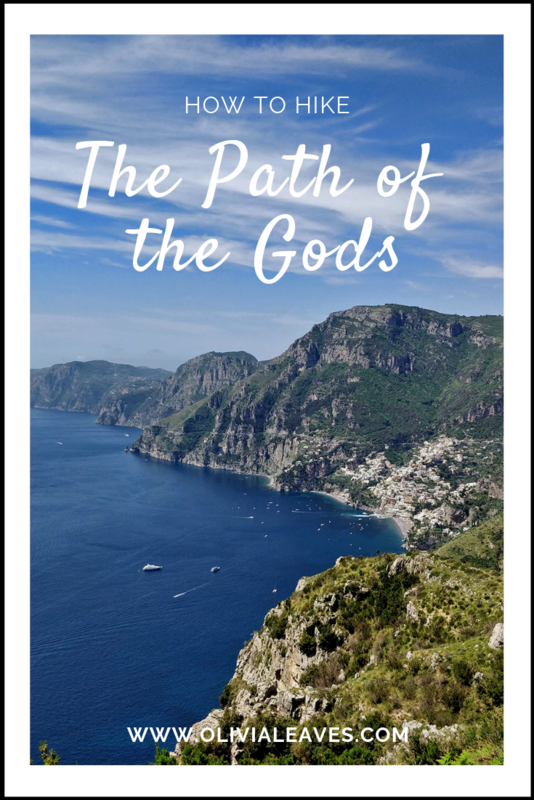 Where does the Path of the Gods start? 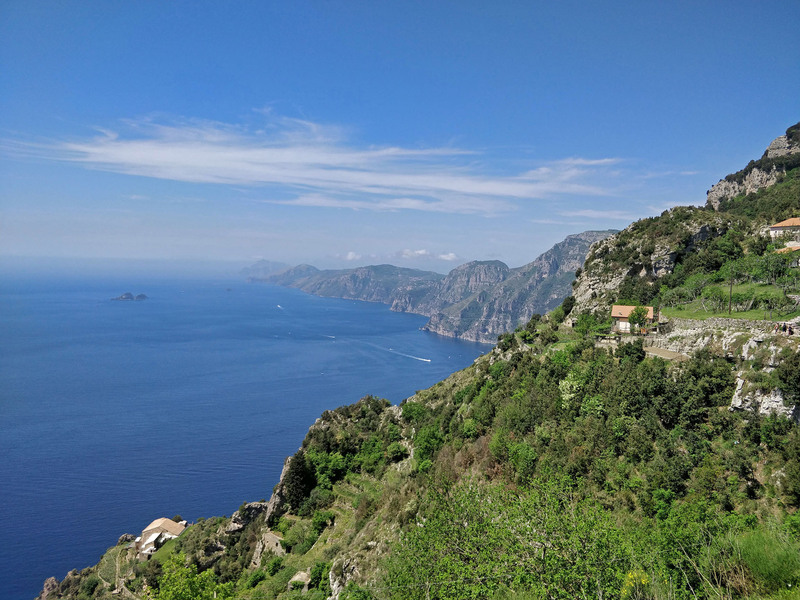 Where you start your journey is up to you, as you can join the path from many little towns along the coast, including Praiano and Vettica Maggiore. 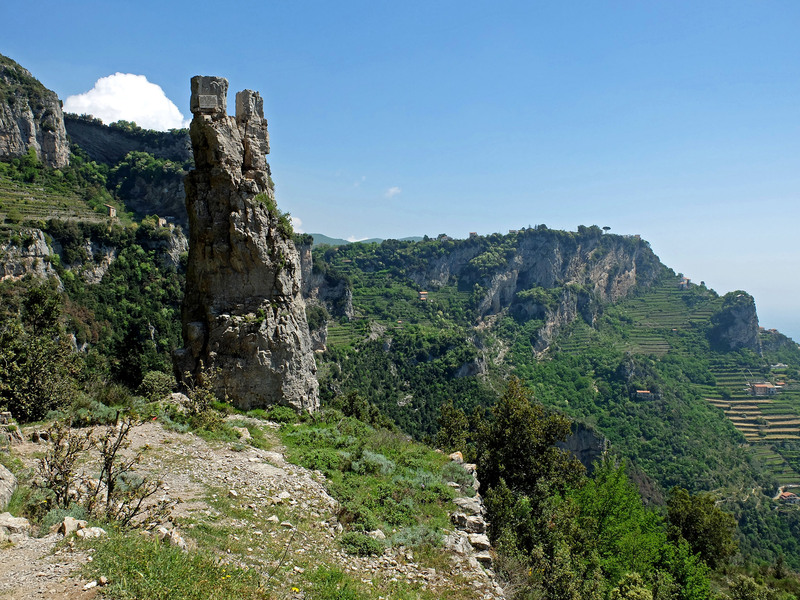 If you’re looking to do the traditional route, it runs between Bomerano and Nocelle. 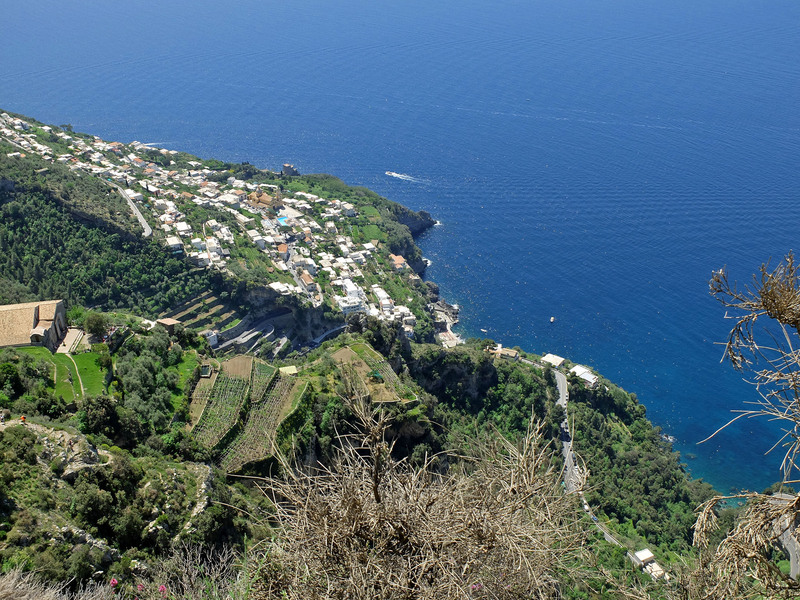 We finished our westward trek in Nocelle, but you can continue on down (a lot of steps) to the centre of Positano. 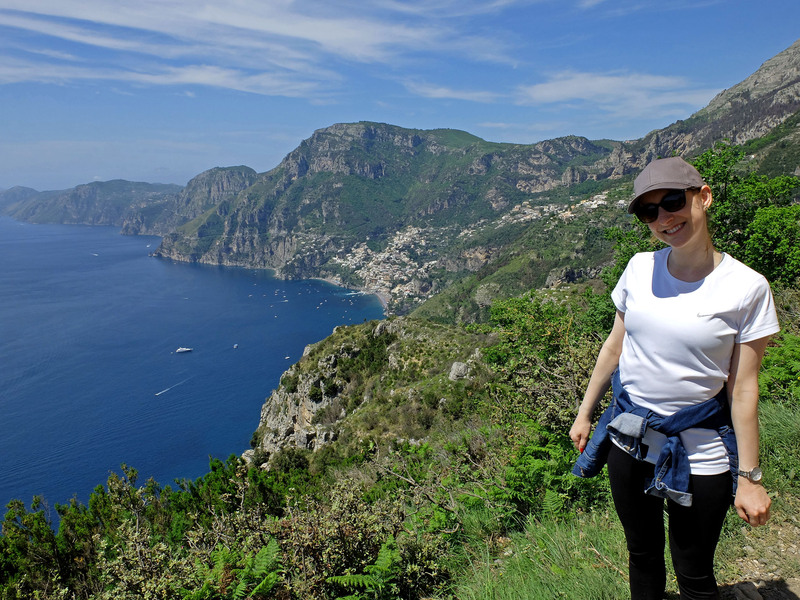 After a 30 minute break in Nocelle we turned around and hiked back to Bomerano! 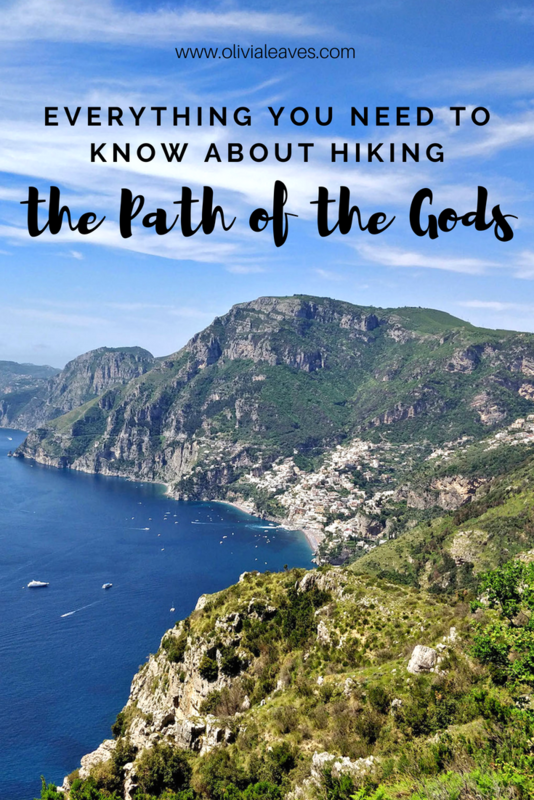 How long does it take to hike the Path of the Gods? Our day, going there and back, took us around 5 hours and included our little lunch break. 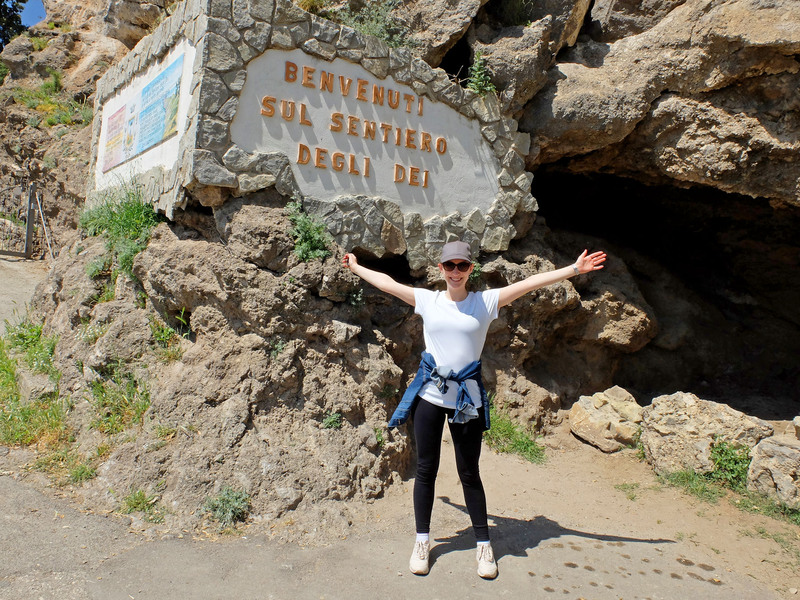 We saw one or two drinking water fountains along the way, and Nocelle has a few restaurants you can eat at when you stop. 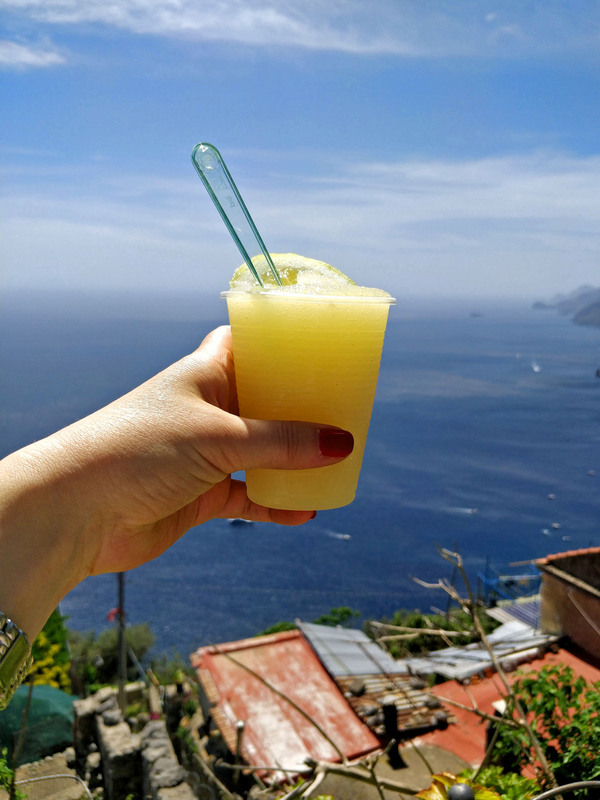 There is also a little ‘Lemon Point’ that serves the best granita and cannot be missed! It’s the perfect way to quench your thirst after a long hike. But, is the Path of the Gods difficult? 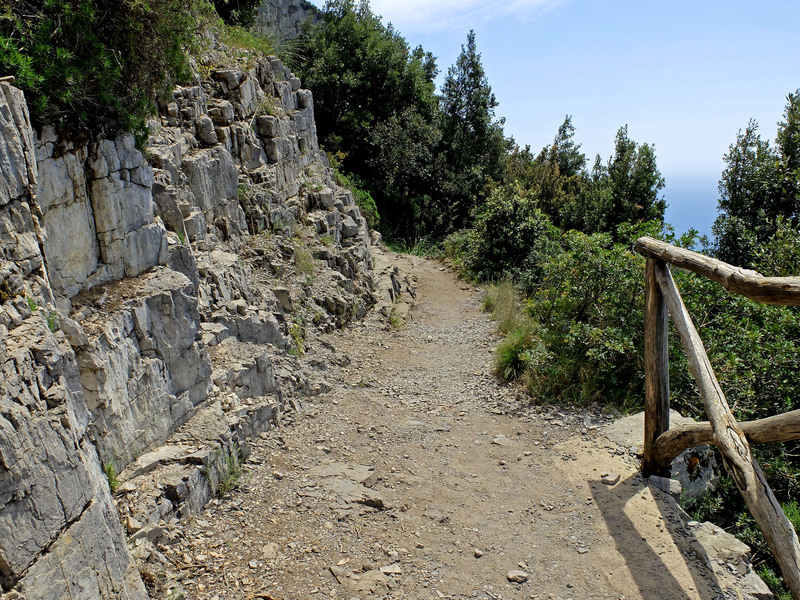 The route along the Path of the Gods isn’t particularly difficult, though there are a few scambly bits that require you to hang on to rocks to go up or down. If you’re a bit nervous, don’t worry, I never felt unsafe. 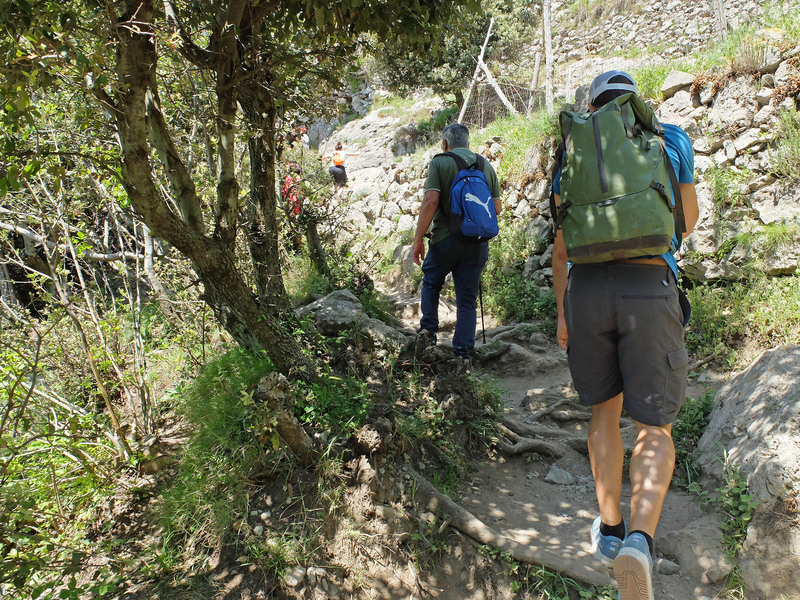 Walking 6km (and back) doesn’t seem like a big deal, but when you’re going all the way up and all the way down and then back up again, you will feel it! 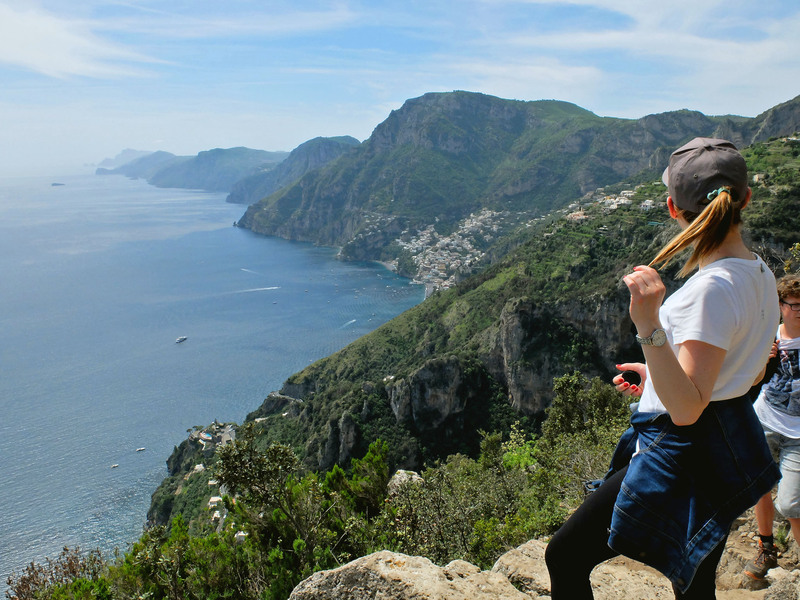 The wobbly legs you’ll have afterward are definitely worth the views.